After a frosty start, last Sunday at the Sheep and Wool Show was beautifully sunny. It was great to be out in the country air with good friends and all things woolly. A group of us from Sunspun travelled to Bendigo by train, which is a great way to get there. We spent the two-hour trip there and back knitting and chatting about knitting ☺. 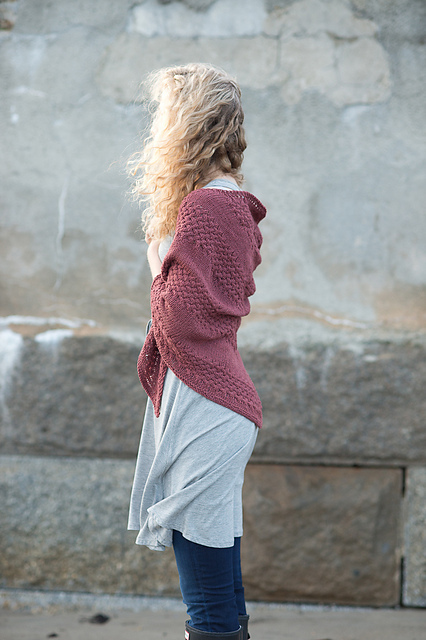 It was also a good chance for me to get some serious work done on my Dotted Rays shawl (finished! ), which had been sitting unloved for several weeks while I worked on a few quick projects for the shop. We arrived just before 11 am and got the shuttle bus to the show and hit the woolcraft section first. It was fantastic to see so many people enjoying making and the skill and amount of work that goes into some of the projects is so inspiring. There were lots of stalls selling hand-dyed yarn, all manner of items for spinning (of which I’m very ignorant) and weaving. We ran into a few customers and suppliers, and I made a few new contacts (so watch this space!). One of our regulars is from Queen Bee Handmade, so we had a chat about soap for washing woollens. I caught up with the team from Art Viva, who make hand-crafted knitting needles from sustainably harvested Tasmanian Oak. It was great to put a face to a name I’ve been emailing these past couple of years. I also met The Button Lady, Elizabeth, who for many years had a stall at the Camberwell Market. She lives in Stawell now and no longer goes to the market but we had a good chat about buttons and collecting. Did you know there’s a button collectors club in Melbourne? They’re having an expo and sale day on Saturday 10 October, so if you’re in the Burwood East area it’d be worth a look. I bought a few buttons and a vintage Patons beehive needle gauge from Elizabeth. There were lots of other things to see but I ran out of time this year! Last year we watched a bit of the sheep-dog trials, which were impressive, and some of the sheep-judging – definitely recommended. There’s also farm equipment, tractors and so on, which is fun for young kids if they’re obsessed with vehicles, like mine are. Nicole: Petting the animals and seeing the raw fleeces. 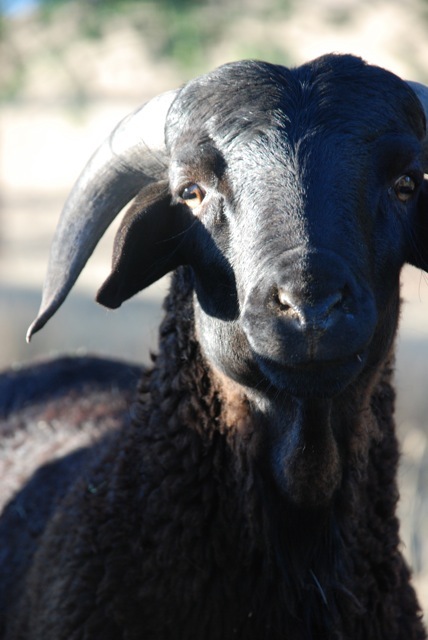 Karen: Seeing the beautiful brown sheep and getting some lovely Polwarth yarn from Tarndie. Jackie and Chelsea: The train trip up! Good conversation, good knitting and a smidge of anticipation. Amy: The woolcraft section. I love seeing all the beautiful knitted, crocheted and woven pieces entered in the competition and the knitted garments for sale. 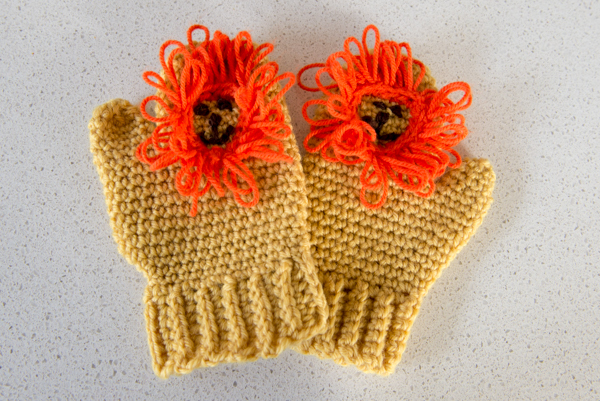 I bought my three-year-old son these little crocheted lion mitts. When I gave them to him, he promptly started roaring and trying to ‘frighten’ us with them. The organisers report an 8 per cent increase in visitors to the show this year, which happens to be the biggest event of its type in the world. 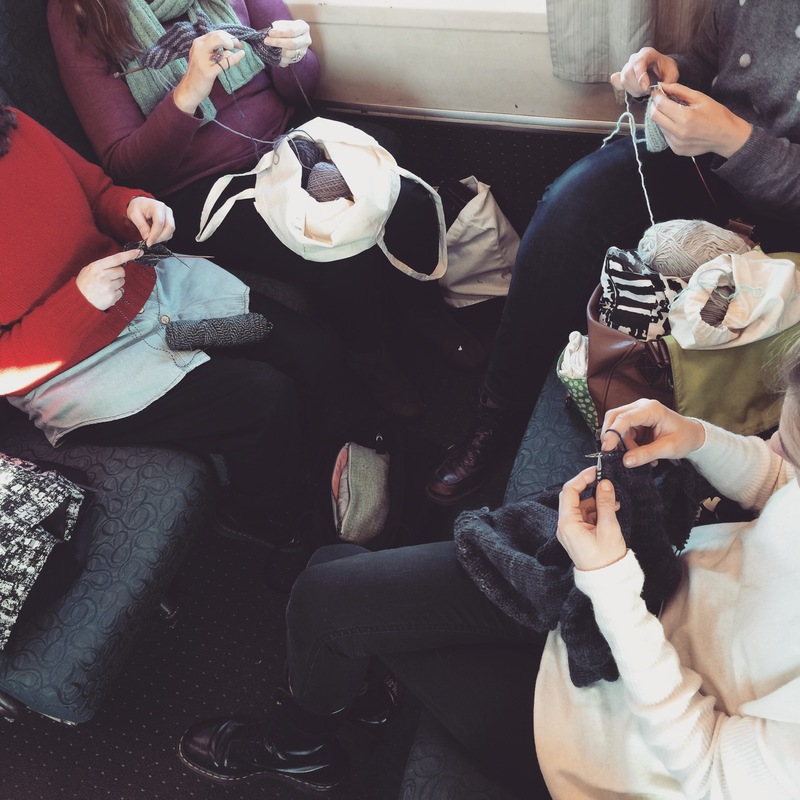 We love that there are so many fellow wool-lovers out there, and can’t wait to see what next year brings! PS: Meet Dotted Rays, done and blocked! 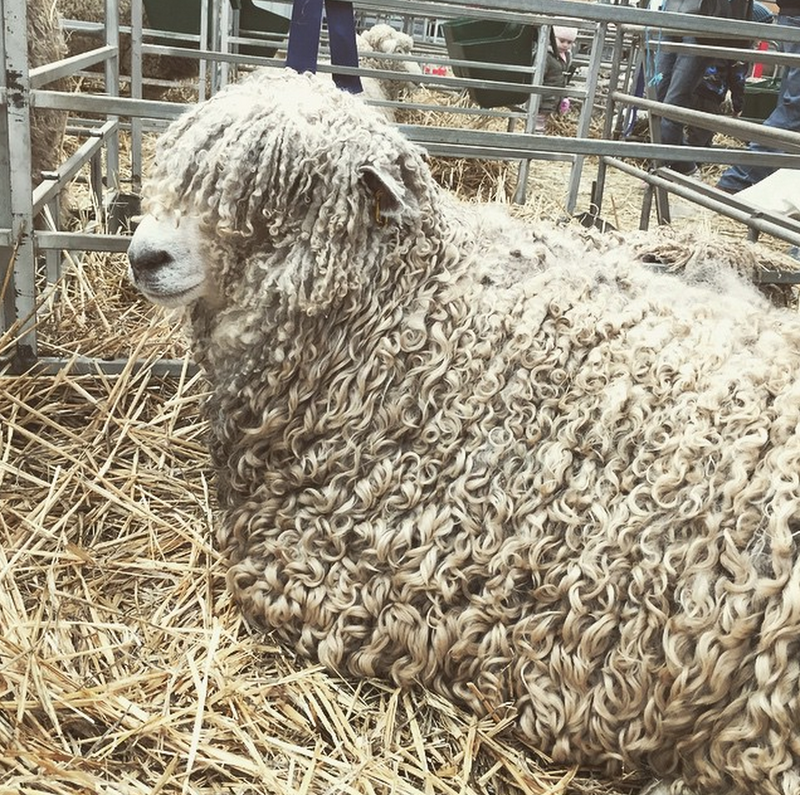 Categories: events, exhibitions, Knitting | Tags: Bendigo Sheepshow | Permalink.